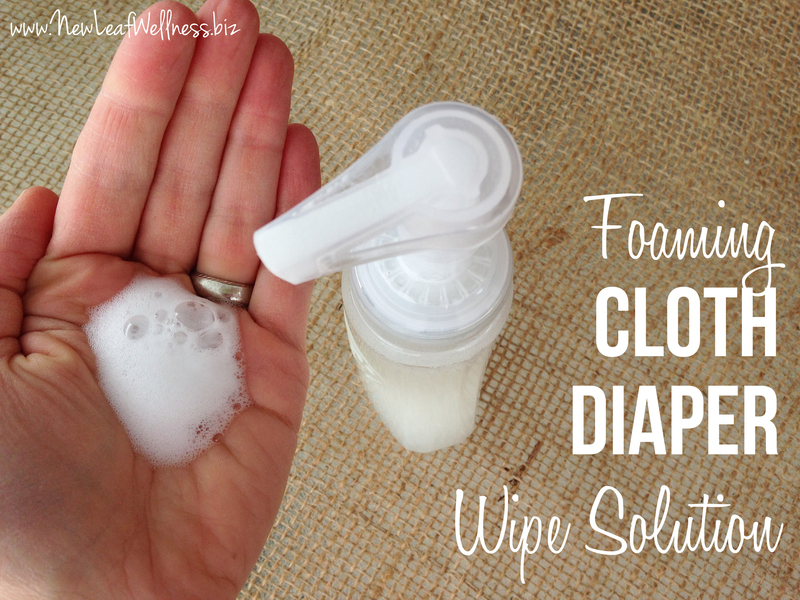 A homemade foaming wipe solution for cloth diapers? Sign me up! I’m so excited to be using cloth diapers with my third baby, thanks to some awesome advice from a cloth diapering expert. Not only do I love cloth diapers, but cloth wipes are AWESOME. I even started making my own foaming solution for them. I know most people use a regular old spray bottle with cloth wipes, but I like how this foaming wipe solution can be pumped right onto a wipe instead of surprising my baby with a spray to her bottom. Plus foam is so fun! All you need to do is combine some soap, coconut oil, essential oils, and water in a foaming soap dispenser and you’re ready to change some diapers. I also add tea tree and lavender essential oils. They up the antibacterial properties of the wipe solution and they smell great. 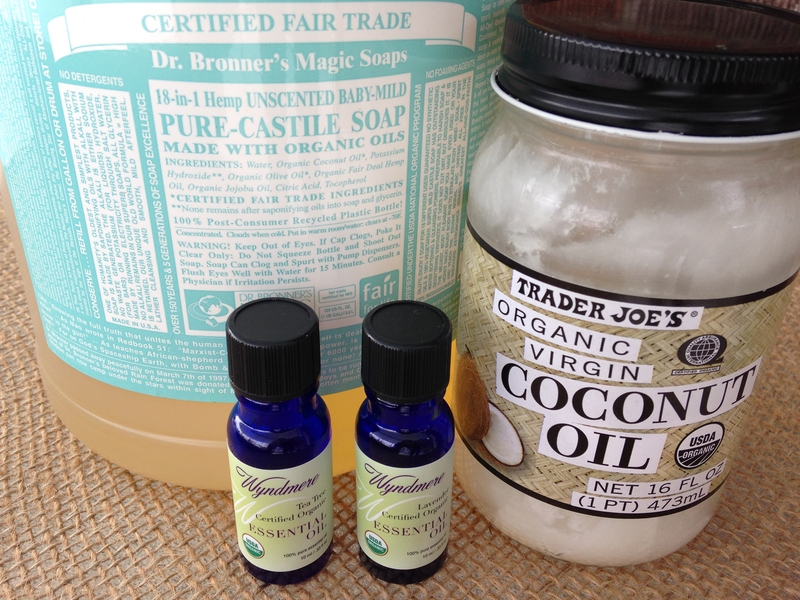 (More about using tea tree oil with cloth diapers here). You can buy an empty container with a foam pump that’s designed for use with essential oils from Wyndmere Naturals. (Convenient if you’re also ordering essential oils from them.) This 7oz plastic bottle with foam pump would work great and it has a lid so I think it would work for traveling, too. Some separation of the wipe solution may occur, so shake gently before each use. Pump once onto a cloth wipe (or a tissue, in a pinch) and wipe away! This foaming cloth diaper wipe solution will stay good for about two weeks and you should have no problem using it in that time if you’re regularly using cloth wipes. Happy diaper changing! 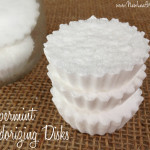 Does the coconut oil not solidify? I started using organic olive oil in my diaper solution spray bottle because the coconut oil clogged up the sprayer. It works fine for me as long as I shake it up. Fractionated coconut oil might also be an option. Do you use dry wipes with this or wet ones. About how many foaming bottles can you get with that size essential oils? I was using a solution like this but when I washed my wipes with my pocket diapers, the coconut oil residue bonded to their liners making them leak badly. Has this happened to anyone else? I stopped using them because of this, but now I’m having trouble with diaper rash which I never had with the coconut oil/dr bronners wipes. I would say it was the E/O that essentially melted the pul In the pockets. A good way to test this would be to try it without E/O and see if it happens. Essential oils sometimes melt plastic but it depends on the plastic and I bet that that happen to pul.